First, we would like to apologize for the late launch of our monthly ezine, The Urban Farmer. We usually publish the first day of the month. But this month is special for us. After literally years of research, product development, testing, more research, figuring out the best way, writing, drawing, photographing and videotaping and publishing.... we present a brand-new product line for you to explore. We are going to keep this ezine simple, and explain briefly what new goodies we have launched today. Please know that in keeping with our website philosophy, we have striven to keep all offerings simple, easy to understand, full of quality, and a great value for the price. We are proud of them, and know you will not regret advancing your hydroponics adventure with any one of them! #1-BUILD 4 DIFFERENT, LARGE, INEXPENSIVE, HIGHLY PRODUCTIVE HYDRO GARDENS WITH "SIMON'S SIMPLE HYDROPONIC PLANS"
A 98 page quality ebook with parts and supplies lists, where to buy, tools needed, and complete step-by-step construction guides, with tons of full-color photos and diagrams. All this for EACH of the following systems: the HydroPad® PVC stand, Ebb & Flow Tray Farm, Top-drip Dutch bucket garden, Deep water lettuce raft setup and even an automated farm with AutoPots. Included are complete operating instructions with lots of unique advice, helpful charts and task lists. Learn all about Simon's Simple Hydroponic Plans here. 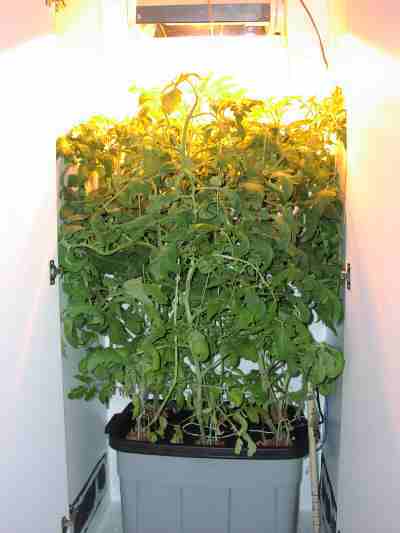 Read all about Simon's Super-Charged Turbo-Cooled Grow Box Plans here. This stand is sturdy yet lightweight, adaptable to any traditional hydroponics garden, and easy to knock down for moving; compact storage. Our HydroPad stand is simply the most functional, economical and versatile hydro stand out there! Read about our handy kit or learn how you can get the plans without the kit here: HydroPad PVC Stand. So what is a hydro bubbler? It's kinda like a cross between a top-drip feed system and a deep water culture system, and it promotes unbelievably lush and rapid plant growth. Read more about this cool system here: The Hydro Bubbler Kit. With this kit you will receive all the parts needed to convert an inexpensive pre-fab cabinet into Simon's Turbo-Cooled Grow Box, PLUS you get the complete hydro bubbler kit described in #2 above. Of course, you will get the informative grow box ebook with all of Simon's special bonuses, too. Read about this kit offer here: Simon's Hydro Grow Box and Bubbler Setup Kit. The first line of defense against bugs... Search & destroy. Grab a magnifying glass, find the bugs, and pick them off by hand, killing them as you go. Now this method, obviously, is only effective in the early stages of pest-infestation, when there are just a few. But this can be very effective if you do it daily, and stay on top of the situation.